Great color orange for my 14 year old sons room ! Looks amazing and he loves it ! Add a bright pop of color to your bedroom with the Brighton Cotton Quilt. 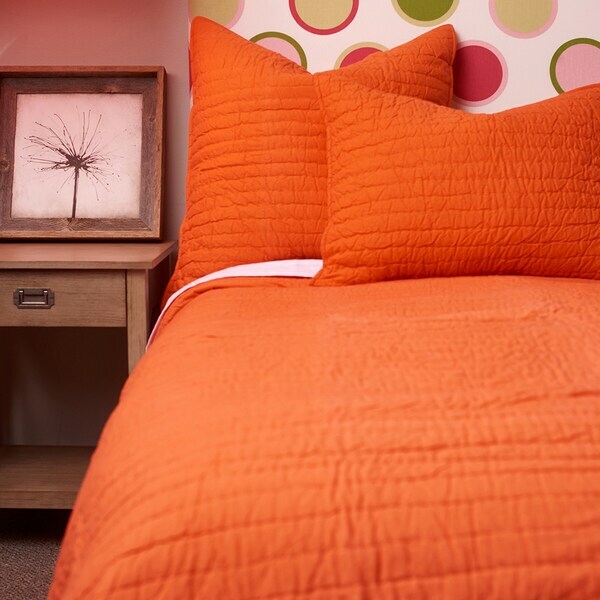 This quilt features a soft cotton construction with a vibrant orange color that you will be sure to love. "Does this come with matching pillow cases?"